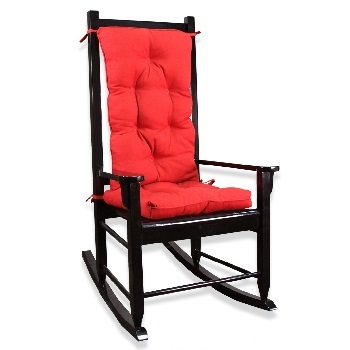 Are you ready to make your rocking chair even more comfortable? These rocking chair cushions will definitely get the job done. 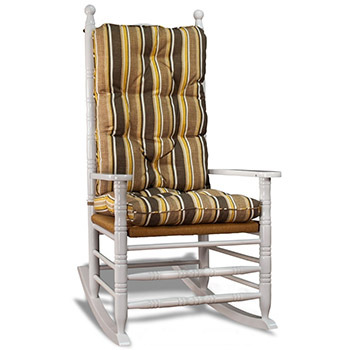 Shop our full selection of striped, solid, pattern and Sunbrella fabrics for rocking chairs right now. Comfort, quality, and durability are just around the corner. Choose from over 200 different fabric patterns to make sure your rocking chair cushion fits right into your decor. 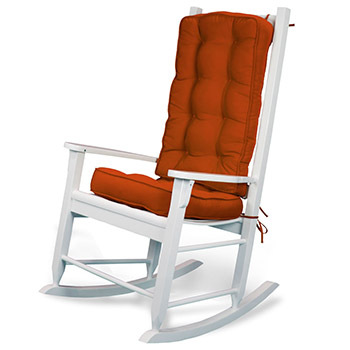 The Rocking Chair Company has something for everyone. Available in a variety of fabrics, custom sizes available. Available in over 50 fabrics! Available in 25 different fabric patterns! 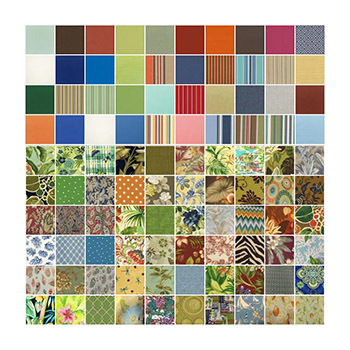 Available in over 50 different Sunbrella fabric patterns! 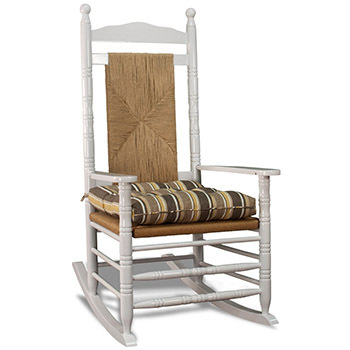 Available in over 60 Sunbrella® fabrics! Rocking chairs are all about comfort. They're the place where you sing your baby to sleep. They're the spot where you go to relax after a long, hard day. Each of these cushions will help you turn your basic rocking chair into a little mini-getaway spot. 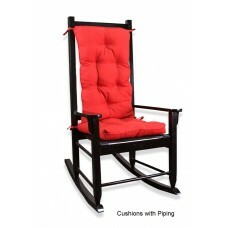 These cushions will complete your rocker as nothing else can. Not sure about a color or a style? You can view each cushion pattern here on our site. If that's not enough, just let us know and we'll provide you with a swatch! After all, color soothes the soul, and we want you to have the right one. 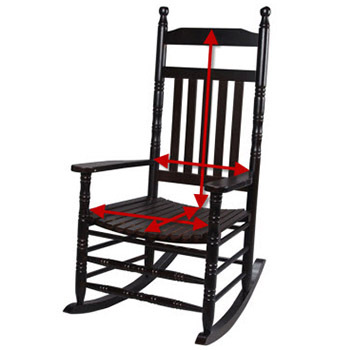 Remember, it's also important to measure your rocking chair so that you can be certain that your cushion will offer the perfect fit. 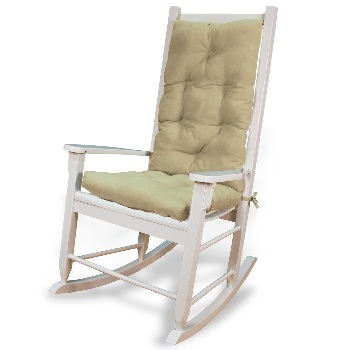 Your rocking chair cushion will be fully tufted, plushy, and ready to support your lifestyle. We've got seat cover cushions as well as back cushions, all ready to go. 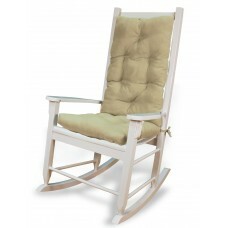 Just browse our full selection right now to find the rocking chair cushion that's right for you.